Shortly after 7PM, Williams welcomed everyone to the meeting and expressed his joy to be back in San Pedro, where he started his police career, after graduating from the Belize Police Academy. Williams spoke about the importance of having a good working relationship with the public. He touched on the rogue behavior of some police officers, which affect that intended relationship. “We cannot be out there courting the public to work with us, and on the other hand, we are abusing them,” said Williams. He stated that under his command, those behaviors from officers would not be tolerated as his department is an institution committed to ensuring everyone’s safety. When speaking of increasing crime, Williams pledged to be aggressive when facing gang members threatening the safety of the island community. “We will ensure that we do not give them the opportunity to continue committing a crime,” he boldly declared. Williams also committed to addressing the problem of domestic violence, in working to provide victims with counseling services to better guide them. Another topic was the issue of nightclubs getting after-hour extensions. “An extension is a privilege and not a must, 2PM is a good time to end a party, and we will discuss this topic with the liquor licensing board,” said Williams. He believes that murders and other crime incidents stem from late night activities and excessive alcohol consumption in clubs. On Thursday, February 7, 2019, Belize Commissioner of Police Mr. Chester Williams and his Senior Command Team were in Caye Caulker and San Pedro as part of the Commissioner of Police's Eastern Regional Tour to carryout Inspections of the Police Officers, to listen to the Police Officers' concerns in these islands, challenges, suggestions and present the strategy of his way forward for the Belize Police Department. The San Pedro Police Formation met with Chester Williams at the San Pedro Lions Den for inspection and for a formal meeting. 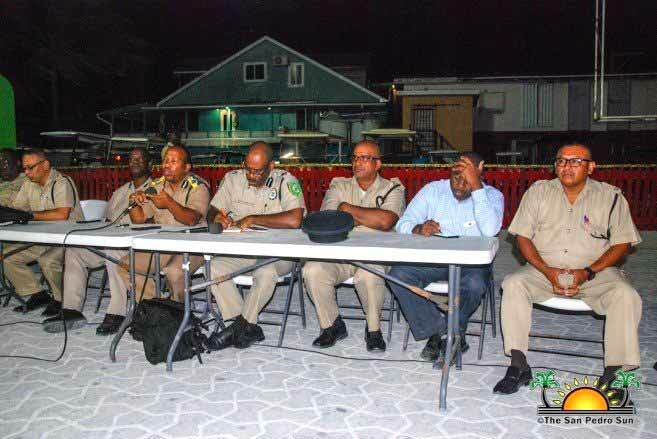 Later in the evening, Commissioner of Police and his Senor Command Team held a public meeting at the Central Park where he also presented some strategy points on how and what the department is working on. "The Belize Police Department wants to restore and maintain the public's trust," stated Commissioner Chester Williams. "We are a caring organization and we are committed to ensure your safety. San Pedro has a good track record of people working with the police and we want this bond to become stronger."